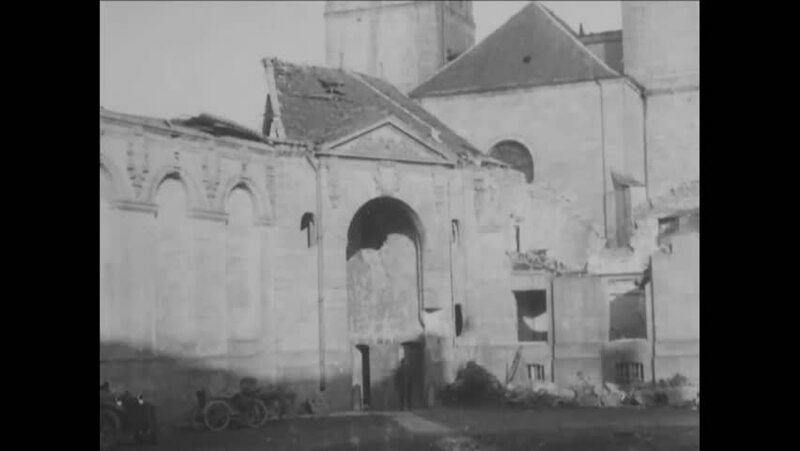 CIRCA 1918 - 26th Division troops explore the ruins of Verdun, including a cathedral. hd01:36CIRCA 1910s - Shots of the town and frozen river in Siberia where the Allied Expeditionary Army has a base. 4k00:211950s: Churches. Young man lays block reading "Right of free speech" on top of tower. Man speaks at meeting. 4k00:06Aerial view of morning sunset of the Neuschwanstein castle in Bavarian Alps, Bavaria, Germany in 4K. Ready for Color Grading. hd00:45CIRCA 1943 - A farmhouse and a warplane and a staff car are shown in World War 2. 4k00:08Castle at "Carcassone" in the South of France. hd01:24CIRCA 1947 - Church bells summon residents and they walk through the snow to a meting in the Pittsford Town Hall in Vermont.